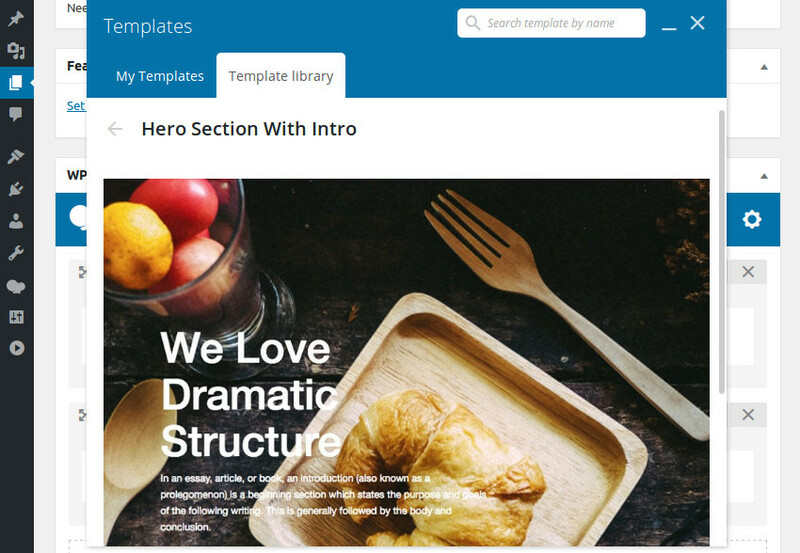 WPBakery Page Builder (formerly called Visual Composer) is the most flexible and feature-rich WordPress page-builder plugin you can get your hands on in 2019. 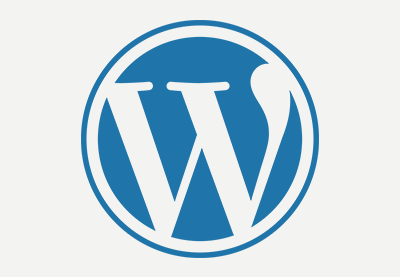 It's compatible with almost every modern WordPress theme, and you don't need any programming skills to be able to use it. In fact, while using it, you won't even have to type in any shortcodes! 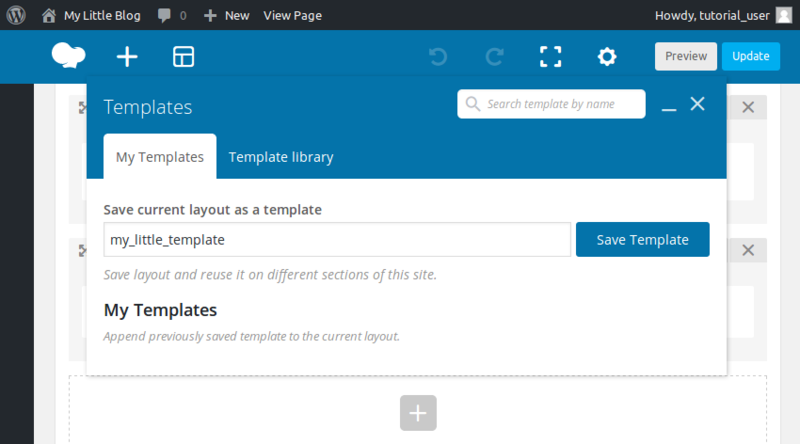 With the elaborate yet intuitive front-end and back-end editors WPBakery Page Builder offers, creating pages for your WordPress site often involves nothing more than a few clicks and drag-and-drop operations. 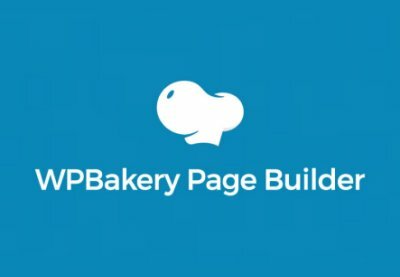 In this tutorial, I'll show you how to add WPBakery Page Builder to your WordPress instance and introduce you to all its important features. 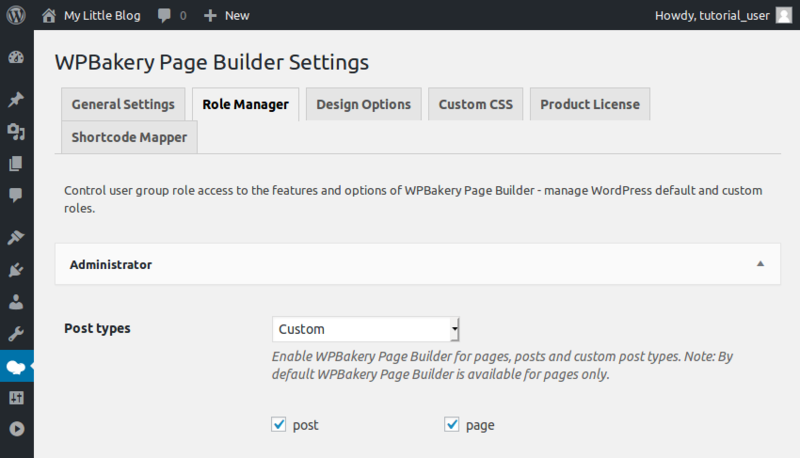 WPBakery Page Builder is a premium WordPress plugin. It's available on CodeCanyon, so log in to your Envato account and purchase a license for it. It's still often known by its old name: Visual Composer. 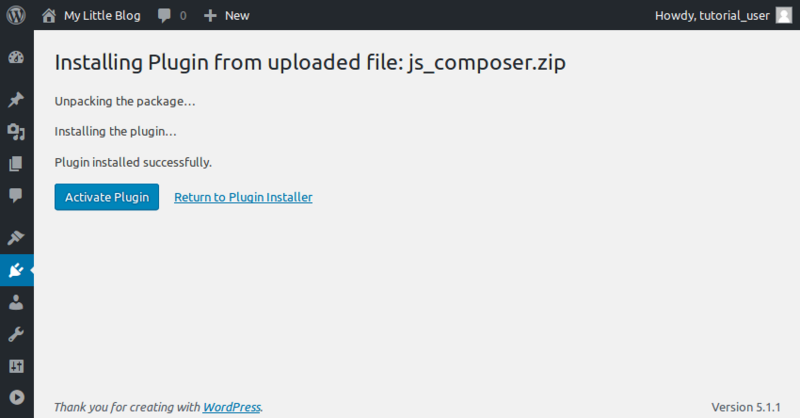 After you purchase it, you'll be able to download a ZIP file containing various files related to the plugin. Once the installation's complete, press the Activate Plugin button. 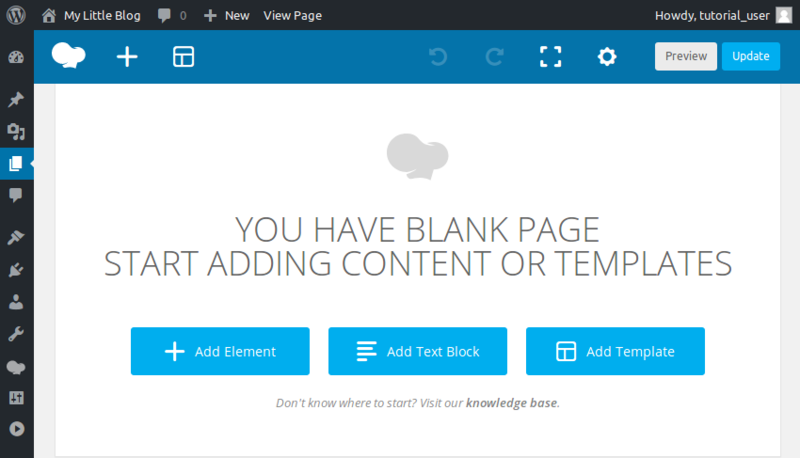 As soon as you do so, you'll be taken to WPBakery Page Builder's welcome screen. 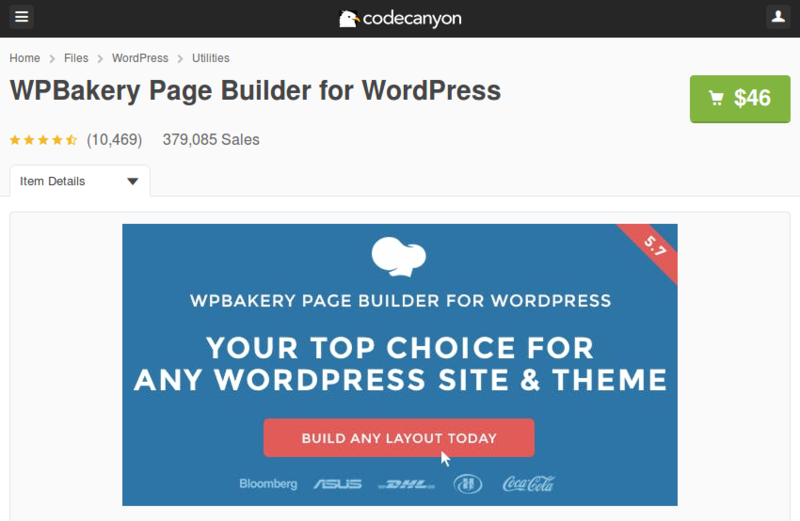 WPBakery Page Builder is extremely customizable. It has dozens of configuration options you can tweak until the plugin's behaviors match your requirements. Press the Settings button on the welcome screen to take a look at them. The plugin has a well-thought-out default configuration that's good enough for most use cases. For instance, in the General Settings tab, you can see that it supports responsive design right out of the box. Lastly, if you want to customize the look and feel of WPBakery Page Builder's content elements, switch to the Design Options tab and check the Use custom design field. 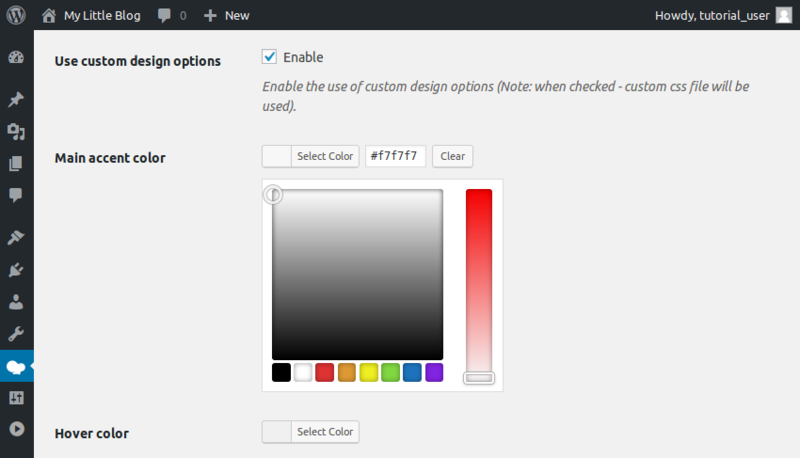 Once you do so, you'll be able to change the default colors, margins, and widths the plugin uses. 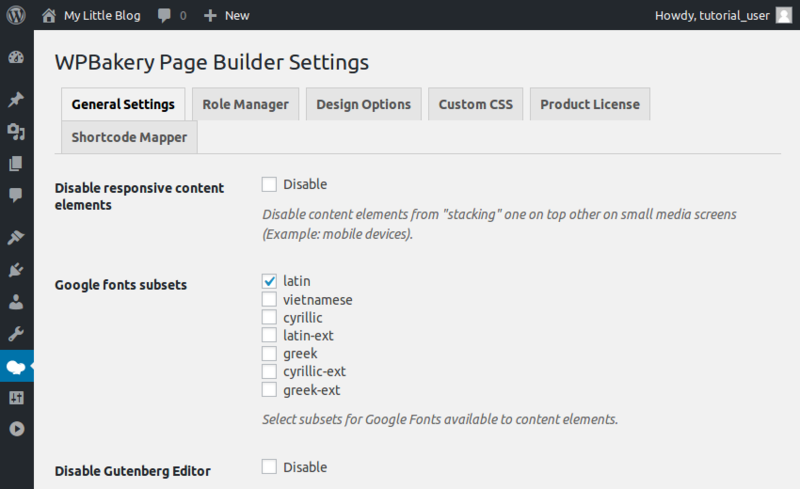 WPBakery Page Builder comes with two powerful editors: a back-end editor and a front-end editor. They're both accessible only inside a page or a post. Therefore, for now, I suggest you create a new page by going to Pages > Add New. 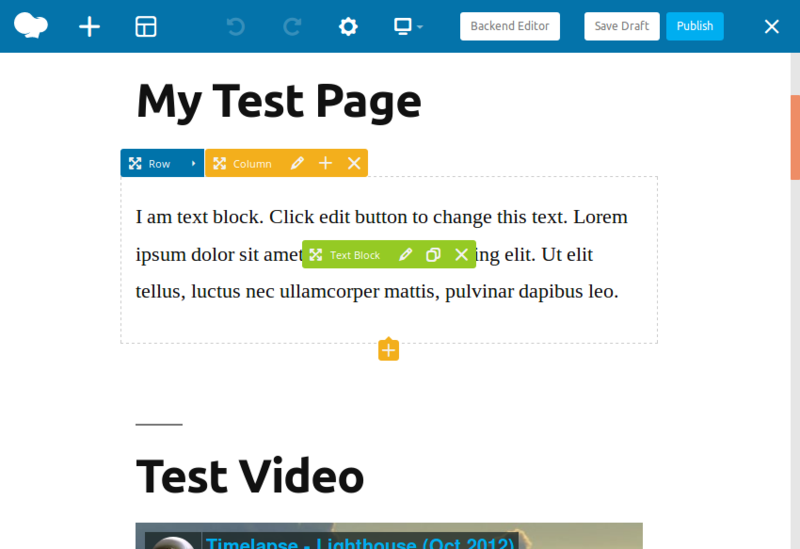 In the page creation interface, you'll be able to choose which editor you want to use. Start by clicking on the Backend Editor button to open the back-end editor. Using this editor, you can easily add a variety of commonly-used elements to the page. 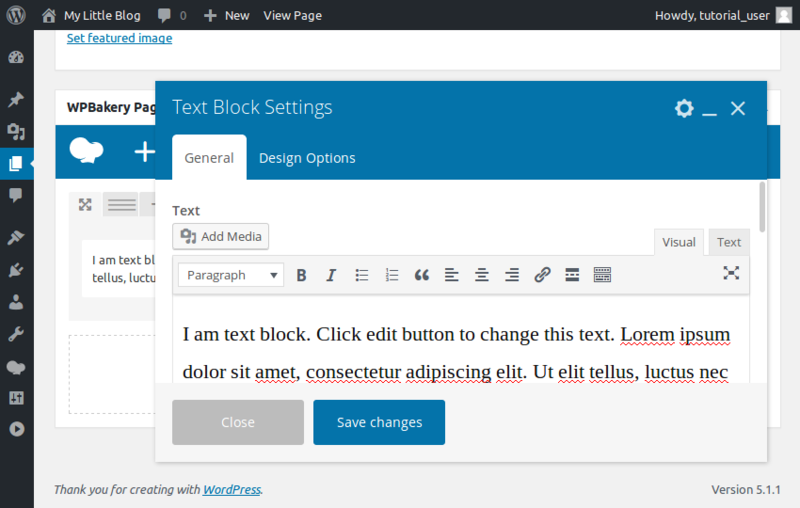 WPBakery Page Builder offers simple elements such as text blocks, images, and separators. 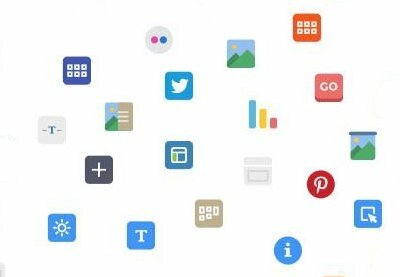 It also offers more advanced ones such as Facebook "Like" buttons, Google Maps, charts, and animated carousels. Note that if you aren't satisfied with the default look of an element, you can always modify its styles by switching to the Design Options tab. After you've added a few elements, you may notice that each element has a toolbar associated with it, containing a few buttons. These buttons display intuitive icons and allow you to perform important operations such as dragging and dropping the element to change its location, duplicating it, deleting it, or editing its contents. 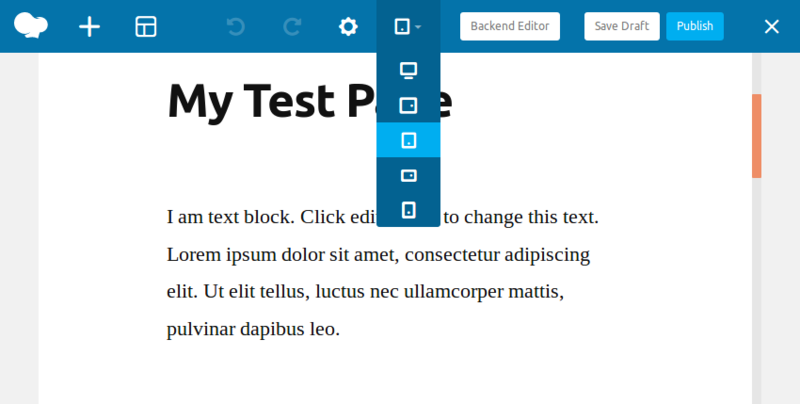 The back-end editor is ideal for long, complex pages that contain lots of elements. While using it, you need to press the Preview button whenever you want to see what your page is going to look like when it's published. 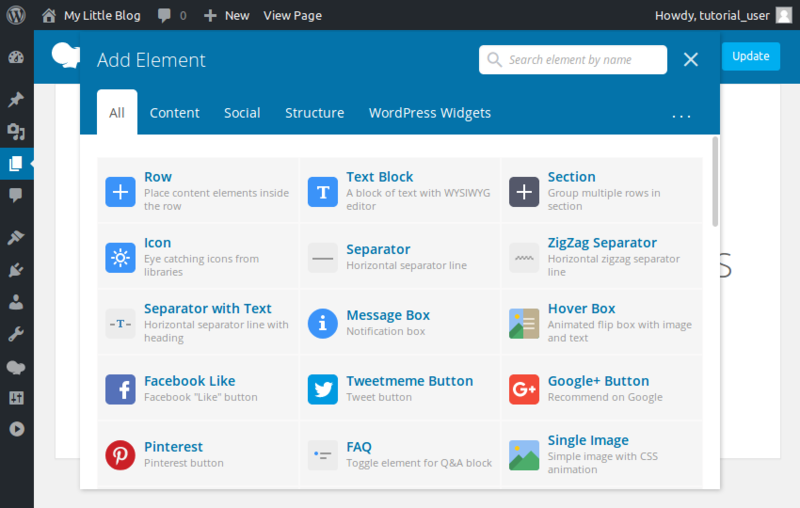 In this editor, you'll see the toolbars associated with an element only when you hover over the element. 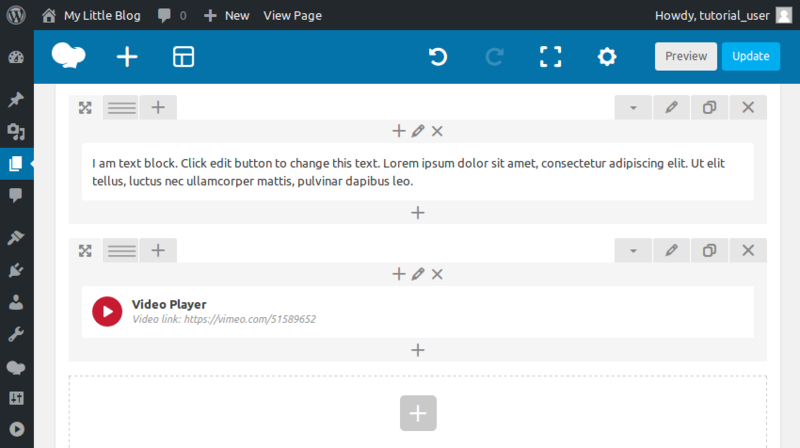 These toolbars and the functionality they offer are very similar to those offered by the back-end editor. You aren't limited to working with your own templates. This plugin comes with a large template library, which is updated regularly. To open the library, switch to the Template Library tab and press the Access Library button. 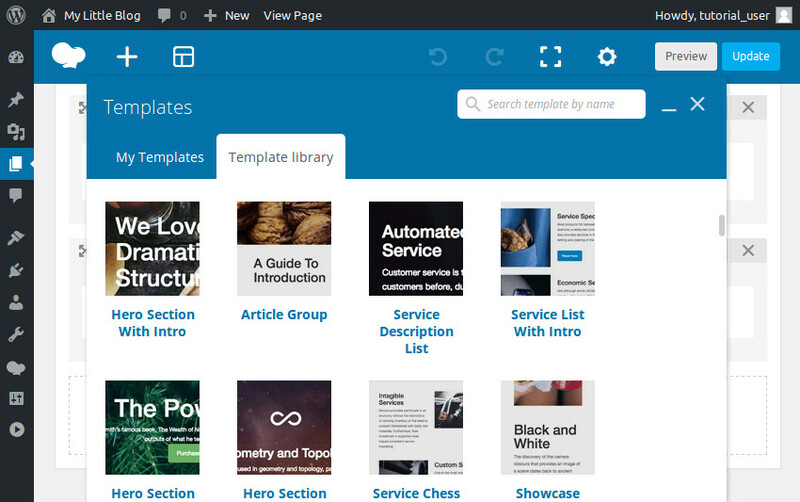 Broadly, the templates can be divided into two categories: templates for entire pages and templates for individual, independent portions of a page. For example, the About Page template is a template that helps you create a complete "about us" page. But the Hero Section template only creates a hero section for you. The plugin also has a rich ecosystem built around it. Because it's easily extensible, there are numerous third-party add-ons available for it.